Magic Fred engages his audience throughout the show. 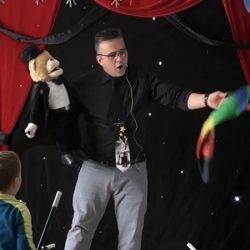 Whether it be shouting the magic words from the comfort of their seats or by joining Magic Fred’s as his magicians assistant, your guests will be actively participating throughout the show. Not only will this increase the excitement of your event, it will also result in a more memorable experience. 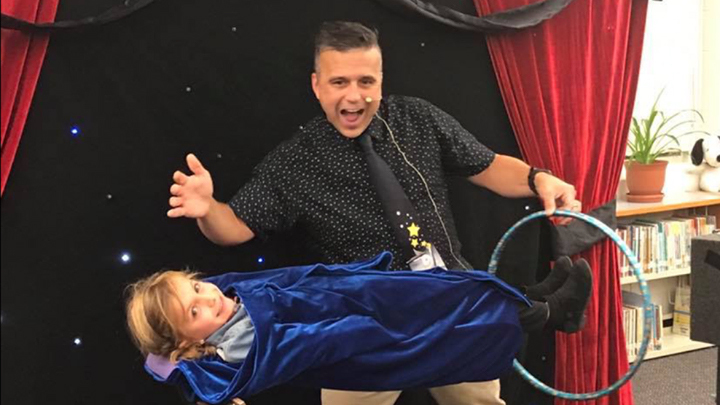 To enhance the overall experience of the show, Magic Fred will set up a beautiful red velvet magic backdrop with lights, which will turn your performing area into a theater like setting great for photo opportunities. This backdrop sets up in a matter of minutes and creates a stunning scene. 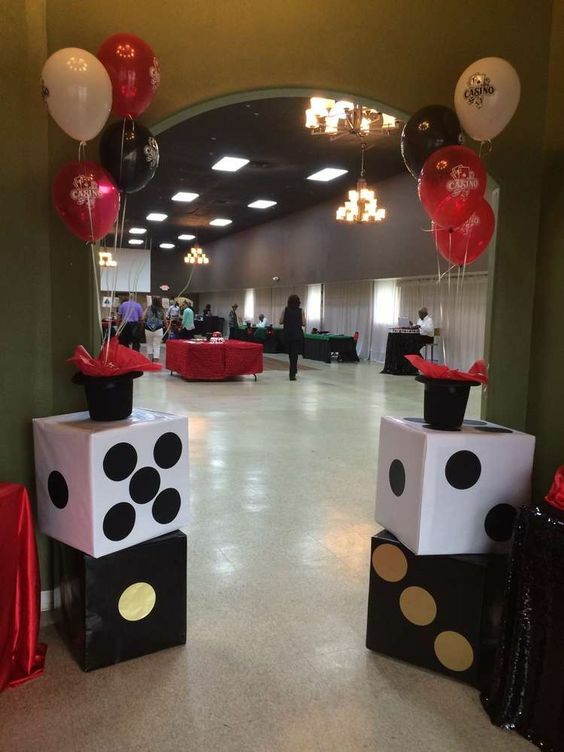 Your guests will be greeted into the magic show with this professional backdrop and upbeat music. They will surely know it’s SHOWTIME! Note: I can setup this backdrop in most performing areas, big or small, as it is expandable. The backdrop is available for indoor events, sometimes if the weather is nice and not too windy, I will set it up outside. But please don’t worry the show is amazing with or without the backdrop. You will never have to worry about sound and music at your event. 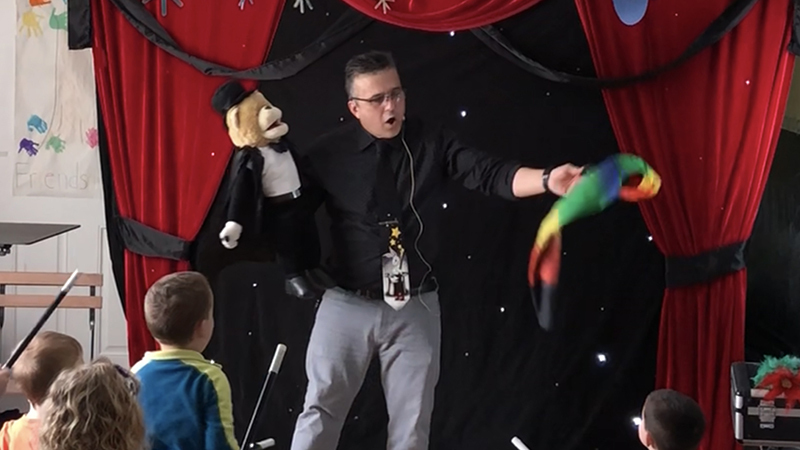 Whether your guests are seated close or 100 feet away, they will all be able to hear Magic Fred , just like if they were sitting in the front row. Best of all, Magic Fred’s has battery back up if needed. No electrical outlets, No problem! 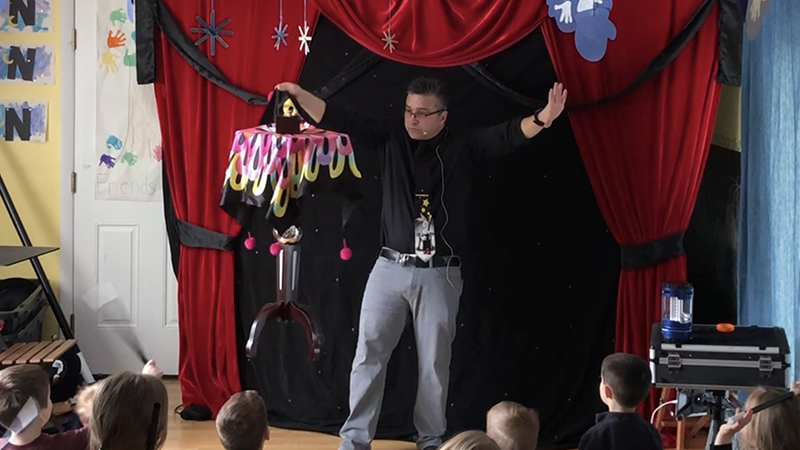 Magic Fred can perform anywhere your audience is. Note: All shows will feature routines performed to music. You will love how easy hosting your next event will be. You can just sit back, relax and have fun watching the kids have fun! to see what others are saying about my show please check out my Facebook page. “Magic Fred the Magician”. Shows runs approximately 45 minutes to an hour. 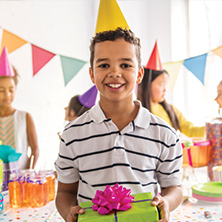 Show length can be adjusted depending on age and your event needs. 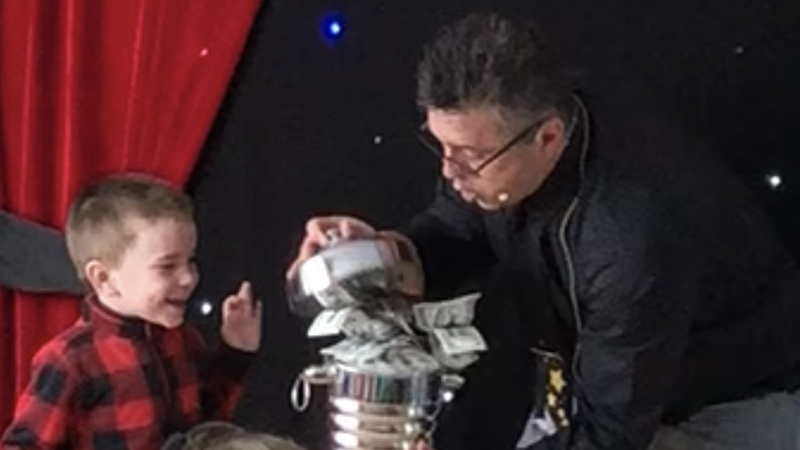 The magic tricks and comedy are always age appropriate and I make sure that ALL ages enjoy EVERY show. 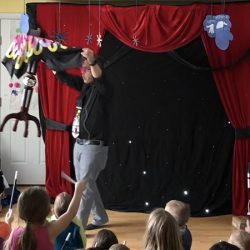 For the younger set, the shows are fast-paced, colorful and really wacky with super cute and really funny animal puppets. For the more sophisticated older kids I do less silly stuff, and do more “cool” magic. Because the adults get so “caught up” in the fun of the show many times they can miss getting the best pictures, I make sure that doesn’t happen. 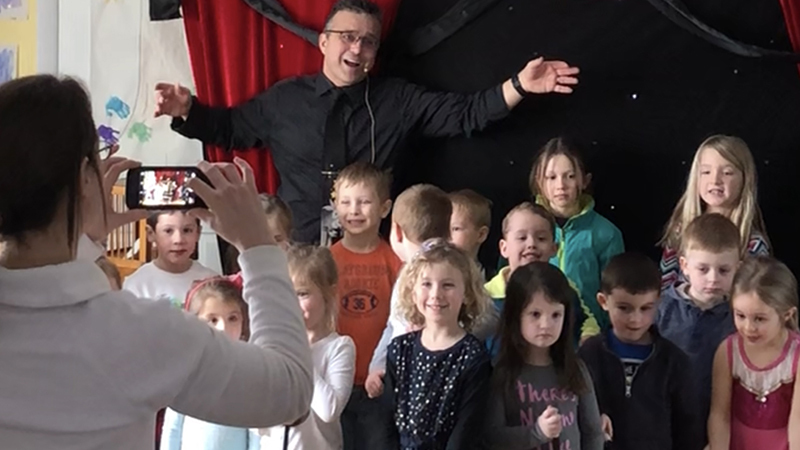 I have what is called the “DIRECTOR’S CUT” where I cue the parents to get their cameras ready and if you wish Magic Fred will set up a few shots after the magic show is over so you’ll never miss getting that perfect picture! 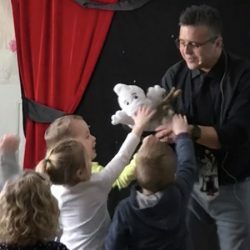 Magic Fred has appeared as a regular performer at Steele Hill Resort in Sanbornton New Hampshire, Children’s Museum, Uno’s pizzeria restaurant, Schools and private events all over New England. The show begins and finishes on schedule and the performance area is left clean. The magician will show up approximately 45 minutes early for most shows and will need a half hour to set up this amazing magic show. Prices vary depending on customer needs, travel time and type of show requested. Day Care Centers, Schools, Nonprofit and Senior Centers. 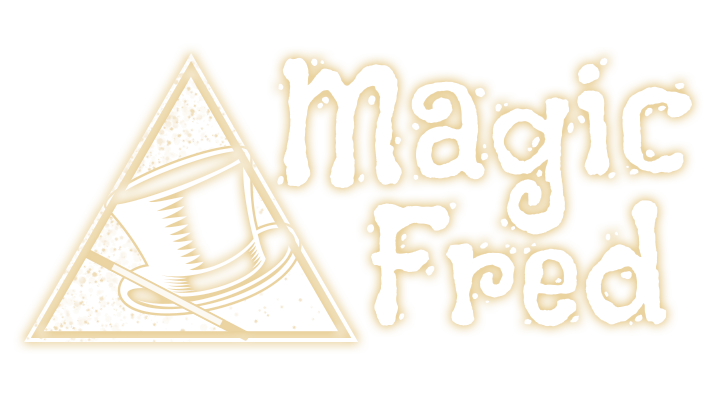 Magic Fred performs all his own shows so when he’s booked he is unavailable, book now before your date disappears! Best Time for Show Time! 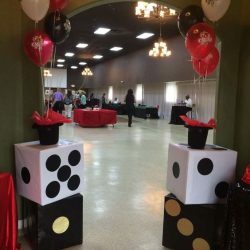 Shows are generally scheduled a half hour or more after the party starts which is usually the right time for the show because some people may arrive late. I bring the Magic show to you! 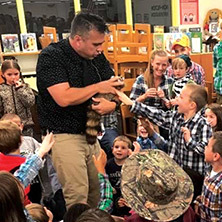 The show is as much a treat for kids as going on a field trip, but this is an “in-house field trip,” I will bring the fun to you no piling kids in a bus and taking them somewhere to have special fun. 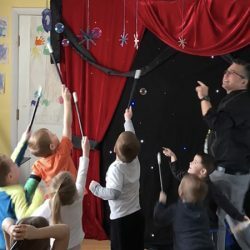 The special fun, a live magic show, comes to you. 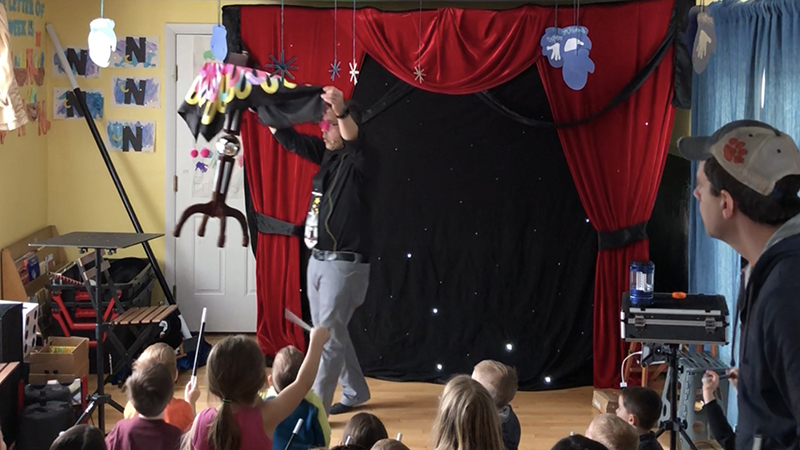 Wherever your party might be, I can bring the magic to you. My magic tricks can be performed anywhere, and my shows can be tailored to your needs. Program length varies, depending on the grade level and number of performances. 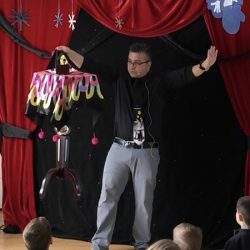 I can plan a Magic show for a specific event or just for fun! Here are some ideas. Day Care Centers and Preschools are a joy to visit! 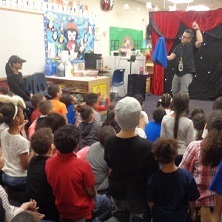 The girls and boys are so excited to see “the Magic Man” they can hardly sit still! For a lot of them, this is their first introduction to live entertainment… and I always make it a good one! 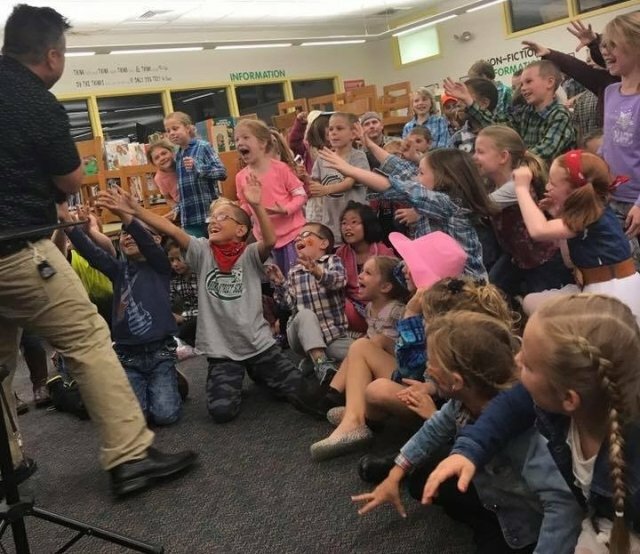 Age-appropriate performances for all elementary grade levels. 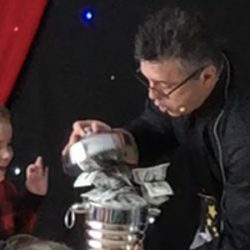 The magic show is created especially for children. The show features some of the most amazing magic tricks kids will ever see. 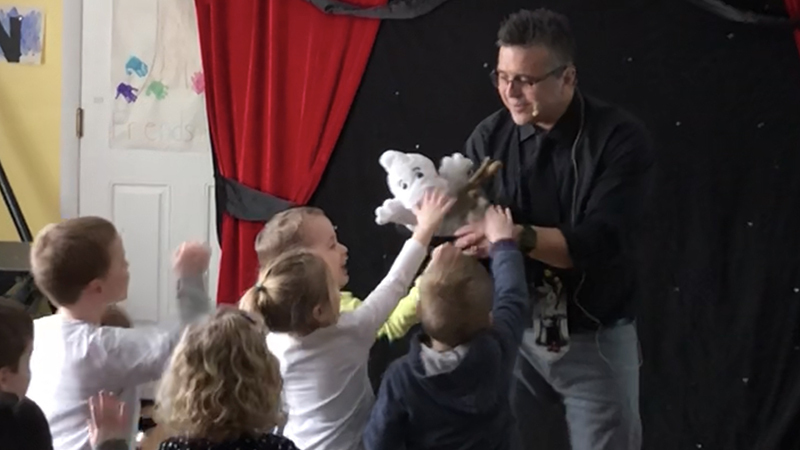 And, since the show is for children I do a number of tricks where the kid’s think they’ve figured it out only to discover a twist., there’s lots of kid-friendly comedy in it to keep kids laughing while they’re being amazed. 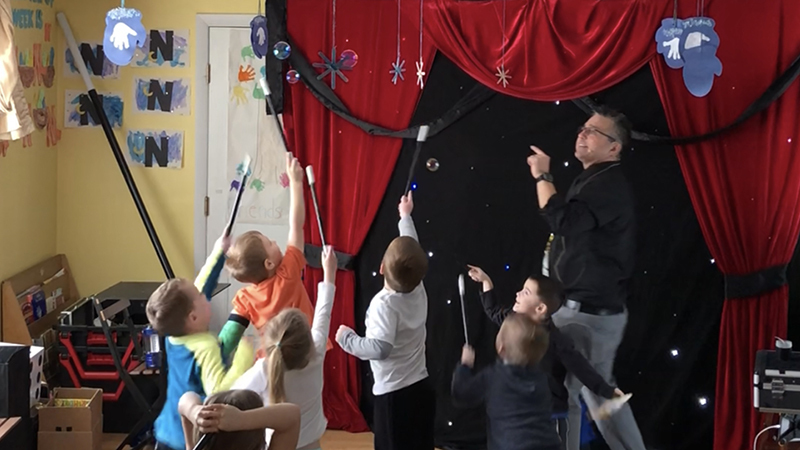 Our programs for these often consist of not only a great Magic Show, but close up walk-around magic! 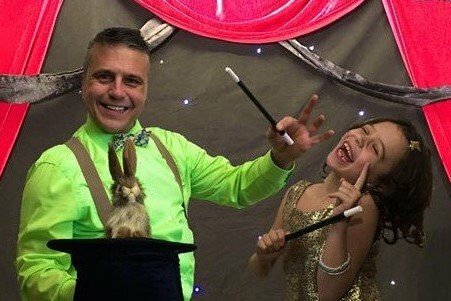 Magic Show is quality family entertainment for kids of all ages!